If you have been appointed as a trustee you have a responsibility to hold, manage and administer the trust assets. You will be answerable to the beneficiary of the trust and, in some circumstances become personally liable. Our trust solicitors have years of experience in advising trustees on all aspects of the administration of trusts. We can help you to fulfil your duties and responsibilities as a trustee and advise you of your potential liabilities. Some people prefer to appoint an independent professional to act as a trustee, particularly if the beneficiaries do not get on. Our solicitors act as a trustee for many trusts and are happy to discuss this with you if appropriate. Making investments is likely to be the most risky responsibility for trustees, making the wrong investment can have serious consequences for the trustee and the trust fund. As well as specialist trust solicitors, we have in-house independent financial advisers which enable us to provide you with a full range of advice and assistance in relation to trust investments. Not all trusts run smoothly, if yours is one of them our team of specialist lawyers are experienced in helping trustees and beneficiaries should a dispute arise regarding the trust. We will help the parties to reach an amicable settlement through mediation or round table meetings, if that is not possible then court proceedings will be considered. To discuss any trust related issue with a specialist solicitor, call or email us today. Claire is a senior solicitor and deals with Wills, Estate Planning and Inheritance Tax Planning, Powers of Attorney, Court of Protection work, Estate Administration and Trust work. Claire has specialised in Wills, Trusts and Estates for more than 11 years, having qualified as a legal executive in 2007 and then further qualified as a solicitor in 2014. Claire enjoys, and has gained a good reputation for her work with elderly clients. She is a fully accredited member of Solicitors for the Elderly and a 'Dementia Friend'. 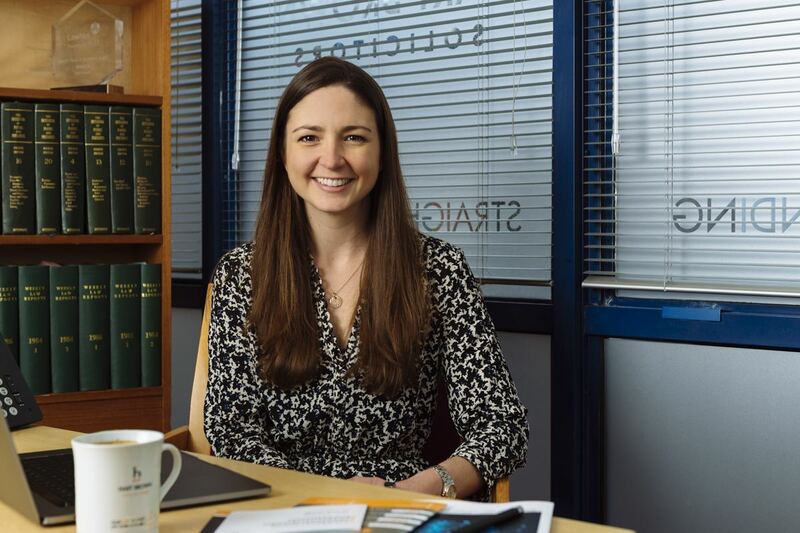 Emily specialises in inheritance tax planning, the administration of estates, trusts, wills and lasting powers of attorney. 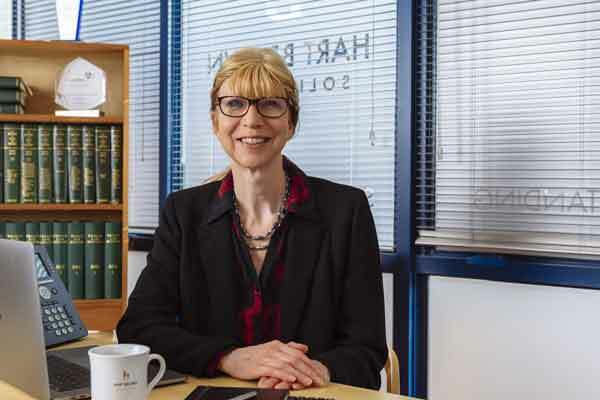 She is a member of the Law Society Probate Section and takes the opportunity to write articles and has been published in the local, regional and national press. Her clients are delighted by her kind approach and efficient way of dealing with their matters, regularly writing to the head of department to comment on how pleased they have been with the service. Having trained in the City, Emily joined Hart Brown in 2004. Emily 's clients have commented: "Emily was very helpful and a pleasure to work with - she made the experience very easy we will happily recommend Hart Brown." Isabel is a specialist in Wills, probate, trusts, estate administration and powers of attorney. Before joining Hart Brown, Isabel worked at another law firm for 10 years, qualifying as a Legal Executive in 2011, obtaining Fellowship in 2015. Isabel is also an Accredited Member of Solicitors for the Elderly. A friendly solicitor, Isabel can be found at our office in Cranleigh, an area she knows and loves. 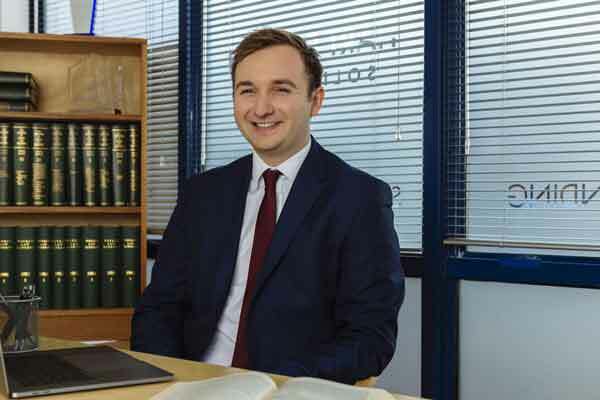 Jordan is a Solicitor specialising in Wills, lasting powers of attorney and the administration of trusts and estates. He is based in the Trusts & Estates department in Guildford. Jordan studied law at the University of Southampton, graduating in 2013. Whilst completing his LPC on a part time basis, Jordan worked in the firm’s quality and compliance department as the firm’s Chief Internal Auditor, before commencing his training contract in April 2016. Having previously undertaken trainee roles in the Family and Residential Property departments, Jordan qualified into the Trust & Estates department where he completed his training. What does Jordan regard as his specialism? "The administration of estates and inheritance tax planning in equal measure. My experience of administering estates and calculating inheritance tax liabilities has provided me with valuable insight into how this particularly unpopular tax applies. This type of work has given me the tools to advise clients as to the steps they can take in advance to mitigate their exposure to inheritance tax. I pride myself on providing legal advice in a straightforward manner, cutting through the legal jargon. I always endeavour to work as efficiently as I can in order to provide the best level of service." "Hart Brown comes up trumps yet again"
"Thank you for your help, your ears will be burning, as I have been ringing your praises!!" "I would like to place on record my appreciation of the efficient and quick service you have provided, particularly as I wished to have the new will in place before my departure on holiday." 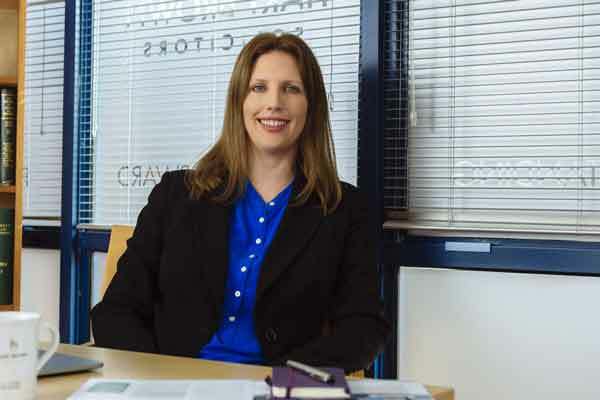 A Partner based in Cranleigh, Louise is also Head of the Trusts & Estates team at Hart Brown and has extensive experience in a broad range of Private Client work. Louise helps clients with all aspects of Private Client work and deals with the formation and administration of trusts, lifetime and post death planning and will drafting. She also works with other professional advisors to provide a complete package of advice. Louise has considerable experience of applications for probate and estate administration often including complex issues and overseas assets. Additionally, she can help clients with Court of Protection matters including lasting powers of attorney and court applications for gifts. Louise is also a member of The Society of Trust and Estate Practitioners. Margaret is an Associate and specialises in wills, the establishment and administration of trusts, probate, tax planning, powers of attorney and court of protection work. Margaret joined Hart Brown in 2017, bringing with her 25 years' experience to the Trusts & Estates department in Cobham. She has worked as a Private Client lawyer in Surrey for over 25 years, and is also a member of STEP and the Law Society Private Client Section. Nick is an Associate Solicitor in the Trusts & Estates department at the Cobham office of Hart Brown. Nick has more than 20 years' experience drafting Wills for a wide range of clients and administering all types of estate, with values ranging from £20,000 to £1,000,000 and beyond. 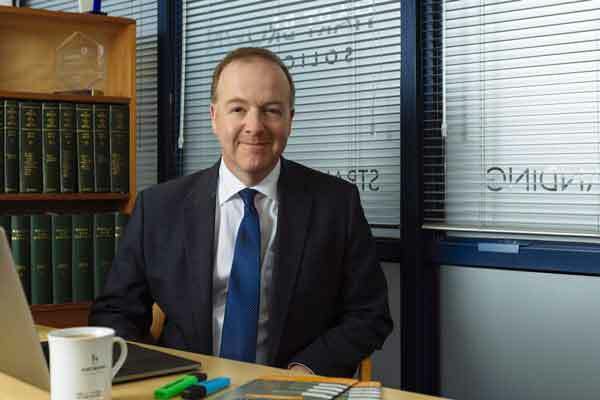 Nick qualified as a solicitor in 1998 and holds a diploma in law and diploma in legal practice, he is also a full member of STEP (the Society of Trust and Estate Practitioners). Nick's clients appreciate his thorough approach, determination to get things right and commitment to listening to what his clients really want so he can help them to achieve their objectives. Paul has a wealth of experience in wills, probate, trusts and inheritance tax planning, having specialised in this area for over 25 years. He is a member of the Society of Trust and Estate Practitioners (STEP). In addition to his qualification as a solicitor, Paul holds the Securities Institute’s Private Client Investment Advice and Management professional qualification and the Chartered Insurance Institute’s Financial Planning Certificate (Cert PFS). His clients value Paul’s undoubted expertise describing him as “of enormous help in all affairs" and "a source of wise counsel". A client recently stated that “It is a pleasure to deal with Paul Tobias. He has been helpful, friendly and is a real expert in the field of trusts and inheritance tax etc. I would not hesitate to recommend him to anyone in need of expert advice in this field”. Paul is particularly keen on legal ways to avoid or reduce liability to tax. He also looks at the bigger picture. Recently a client consulted him about will planning. She mentioned a recent inheritance. Paul advised that it might be possible to use a deed of variation to reduce the IHT bill. The solicitor acting had not realised this. Time was tight but Paul fully investigated the position, verified that a deed of variation would be effective and completed a deed within a few working days. The result was a previously undreamt of reduction of IHT liability of around £140,000. 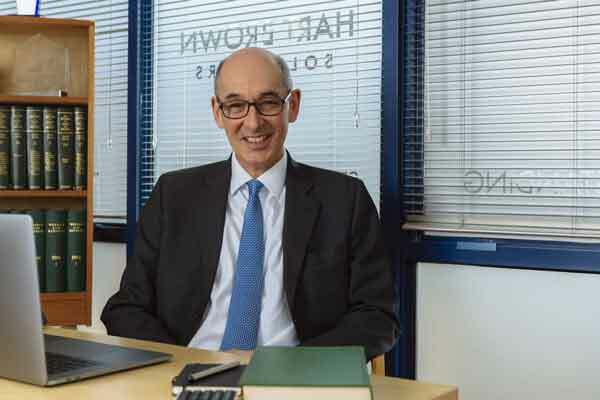 Paul trained at Hart Brown, qualified as a solicitor in 1980 and became a partner in 1983 until 2018. Paul's clients often praise his work "Mr Tobias is very patient with elderly people and diplomatic and very pleasant to deal with. I rely on his very sound knowledge and good memory. He has dealt with family matters for me for the last twenty years." Sue’s specialisms are wills, probate, tax planning and trusts. 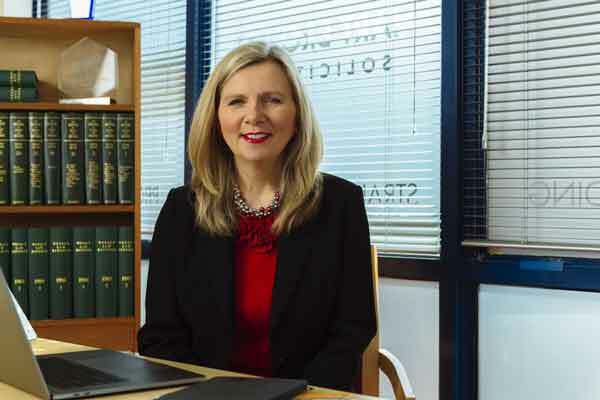 Having qualified as a solicitor in 1994, Sue joined Hart Brown in 1997. She left in 2006 to look after her young family and returned in May 2010. “I am delighted to be back. 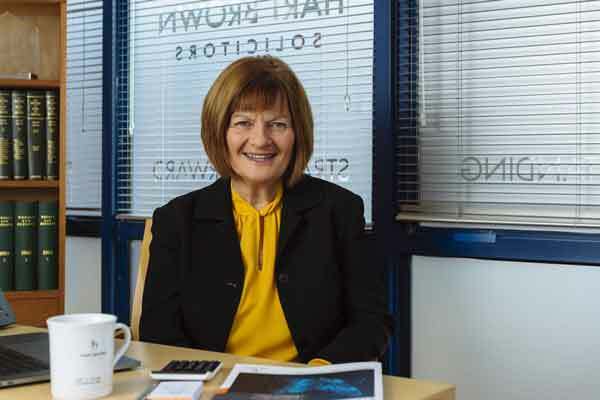 Hart Brown has always been a lovely firm to work for and they really care about their clients which is also important to me” says Sue. Sue's clients provide excellent feedback: "An excellent and efficient service. Would highly recommend to friends and family." Zara specialises in Wills, lasting powers of attorney, and the administration of trusts and estates. She is based in the Trusts & Estates department in Guildford. Prior to joining Hart Brown, Zara undertook a Masters Law degree at Queen Mary, University of London, and completed a training contract at Downs Solicitors, qualifying as a Solicitor in 2014. She is a student member of STEP and is currently studying towards achieving a Trusts & Estates Diploma. "I would like to express my sincere appreciation and thanks for the way in which you and your team always work so fast and efficiently to facilitate requests". "I appreciate everything you have done to help me, it has made everything much easier". "Great to have a Solicitor that brings practicality, understanding and heart to what is a daunting and complex subject! ".